Do I need a special ticket to enter the pre-show Meet and Greet? What time does the pre-show Meet and Greet begin? The Meet and Greet begins at 5.30pm sharp. You must have a separate Meet and Greet pass to enter the venue at 5.30pm. Is EFTPOS available for the Meet & Greet? No – all merchandise sold by wrestlers is cash only. Please be mindful that our guests from the US will have minimal change – so please avoid large bills. There are ATM’s located at Mountain Gate Shopping Centre, roughly 500 metres from the venue. Can I buy a Meet and Greet pass without an event ticket? No, you must have a International Assault event ticket to enter the Meet and Greet. What time do doors open for the event? 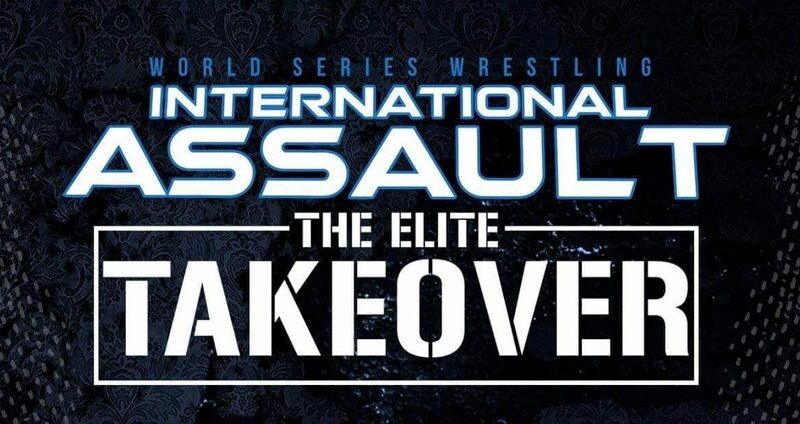 Doors open for International Assault event at 6.30pm. The event will begin at 7.30pm and run for approximately 3 hours, including a brief intermission. Yes, all seats are allocated. How can I collect my ticket/s? Please print your email confirmation (or have it available on your smart phone) at the box office with photo identification matching the confirmation to collect your ticket. Is food and drink for sale? Yes, ice cold drinks and hot food is available from 5.30pm to the conclusion of the event. EFTPOS is available. Can I film the event with my camera? Still photography from a personal hand-held device such as a smart phone is permitted. Video filming and streaming of any kind is prohibited and will result in ejection from the building without refund. Commercial photography or filming equipment is not permitted. You are welcome to bring signs that are no larger than A2. Please respect spectators around you, including behind, during the event. Backpacks will not be permitted into SEEC. Handbags are permitted, but are subject to search by venue security. SEEC is located at 6/1845 Ferntree Gully Road, Ferntree Gully. We are in the same retail precinct as Beaumont Tiles and AnyTime Fitness. Look for the big red and black building. There is free ample on-site parking. In the very unlikely event the parking lot is full, please park at the neighbouring Mountain Gate Shopping Centre.